Source-Omega’s Pure One untouched by methyl-mercury pollution, not now, not ever. Pure One™ algae oil is a very pure commercial source of omega-3s grown away from seawater in enclosed facilities on land, untouched by any ocean system. In the oceans, microalgae are the actual source of omega-3s for marine food chains. However, all DHA-rich microalgae oils produced in the USA are from enclosed culture systems with independent quality control analyses that indicate heavy metals and other pollutants cannot be detected in the golden colored oil. Another plus is the claim of no fish odor or reflux taste issues. Algae oil as a medical food is a clinically proven alternative to fish oil for the same omega-3s, and in a ratio that better matches the human body’s own composition. Pure One™ gives the first and only “metabolic ratio” of omega-3s DHA and EPA from any source and is currently the only plant based source of both EPA and DHA omega-3 made in the USA. Pure One™ is safe and effective, stable, sustainable, scalable and backed by results for both the heart and brain. Pure One™ is marketed as a solution for worldwide use as a dietary supplement for obtaining long chain omega-3s from one microalgae source. “I guarantee the purity and potency of Pure One™. There is no seawater contact, no pollution, no impurities in the growing process and Pure One™ is made 100% vegan. As an Infant Formula Grade product, the oil also comes Halal, Kosher, BSE/TSE free, free of fish, allergens, hexane, dye and all toxins, making the oil good for sensitive consumers, diabetics and for the very young and very old, for all ages.” Stated Scott Doughman, PhD, President and Chief Scientist at Source-Omega, the manufacturer of Pure One™. Fish are increasingly in demand for their omega-3 fats, but the topic of benefit versus risk of regular fish consumption and fish oil supplementation is still hotly debated. Fish oil supplements are considered safe, but only after being decontaminated. In addition, various and prevalent concerns exist regarding the safety, sustainability, and predatory species sources of EPA and DHA omega-3 fatty acids from fish. In June, Nature Geoscience puplished work demonstrating methyl-mercury persists in oceans ecosystems ten times longer than in fresh water because of the sea salt (http://www.nature.com/ngeo/journal/v3/n7/abs/ngeo892.html). Mercury exists in crude oil in several chemical forms. Although crude oil mercury is removed during the oil refining process suggests the Intertek website, an oil testing company (http://www.intertek-cb.com/), but when crude oil spills into seawater the mercury inherently pollutes and persists. With heavy metals in seawater ecosystems, mercury in particular moves up the food chain into the fish supply. Eating fish contaminated with methyl-mercury can cause serious health problems, especially for children and pregnant women as a poison that interferes with the brain and nervous system. Apart from the concerns raised about the environmental impact of the massive oil spill in the Gulf of Mexico, concerns over potentially toxic chemical dispersants used to fight oil spills are present. In addition, detergent-like dispersants could cause deeper and even longer environmental contamination. “I have recently learned that pink salmon populations plummeted over 90% in the Prince William Sound ecosystem in the mid '80's after the Alaskan spill (http://www.evostc.state.ak.us/recovery/status_pinksalmon.cfm). One question is whether a there will be a greater need for microalgae oil omega-3s if US fish and other seafood populations collapse over the next few years.” said Doughman. The BP oil spill will degrade critical ecosystem services and their economic benefits for decades to come. BP’s massive oil spill jeopardizes the underpinning of economic wealth in the Gulf of Mexico region – the diverse coastal and marine ecosystems that generate a bounty of goods and services for communities from the Yucatan peninsula to Key West. Ecosystem services, or the benefits that humans receive from nature, form the backbone of the recreation, tourism, and fishing industries, enhance property values along the coast, sequester carbon dioxide and provide storm and hurricane protection. The Gulf’s ecosystems provide all of these services free of charge, but they are not without value, and the massive BP oil spill has now put many of those ecosystems in great jeopardy. A recently-released study by Earth Economics (PDF) estimates that the Mississippi Delta’s ecological communities currently generate up to $13,000 per acre in ecosystem services each year. Over the next hundred years, this estimate, for just the Mississippi Delta region, translates into a present value of $330 billion to $1.3 trillion, the wide range owing to uncertainties about the value of ecosystem services over that time period. Exposure to residual oil over the course of decades will diminish the value of ecosystem services generated by marshes, wetlands, and coastal waters in the spill’s path. The loss of ecosystem service values from the BP spill will be felt in both the short and long term, both onshore and offshore. In the short term, for example, the CoStar Group predicts that the spill may drive down shore-area property value in the Gulf by ten percent over at least three years– a $4.3 billion loss. The spill’s effects on other services will endure for much longer. According to the Exxon Valdez Oil Spill Trustee Council, ecosystem services affected by that disaster are still recovering twenty years later (PDF). Using Earth Economics figures, a twenty percent reduction in ecosystem service values along the Gulf coast from the Louisiana-Texas border to St. George Island, Florida would equate to $15 to $60 billion in economic damages over a similar, twenty-year period, not counting losses to those directly affected by spill related closures in the short term. Perhaps the most pernicious impact of the spill, according to Dr. Thomas Shirley of Texas A&M, may occur offshore, affecting what is known as primary production. In the Gulf and other ocean basins, primary production is the very basis for the marine food chain. It is the process by which organisms turn carbon dioxide into organic compounds, mostly through photosynthesis. Coral reefs, sea grasses and algae are the most visible primary producers in coastal zones, but most oceanic primary production comes from microscopic planktonic algae, or “phytoplankton.” The Millennium Ecosystem Assessment identified primary production as one of the most important “supporting” ecosystem services. In the Gulf, primary production—measured in milligrams carbon per square meter per day – ranges from near zero to 7,300 near the Mississippi Delta at its peak in June and July. The annual average is 417 for the Gulf marine ecosystem as a whole. Tragically, the oil spill, which currently covers over 38,000 square kilometers lies almost directly across the area of highest primary productivity at the time of its monthly maximum. (Click here to view the map). What effect could a severe decrease in primary production have on the Gulf? Newly published researchindicates that each 1 percent increase in primary productivity corresponds to a 1.3 percent increase in the fishery catch. The dockside value of fish brought in from the Gulf is approximately $997 million per year. If we assume that this value can be distributed according to primary production levels, each square kilometer currently under the spill can be thought of as generating $3,261 in annual commercial fisheries value . A twenty percent loss of this ecosystem service value over a twenty year period would imply a present value loss on the order of $350 million, or $875 million if loss of value is closer to 50%, which is the upper end of the range considered in the Earth Economics study. This simple calculation doesn’t account for the loss of jobs, income, and tax revenues when the catch is processed inland. Nonetheless, it is suggestive of ecosystem service damages at sea that are significant and long-lived. Decision-makers considering offshore leases must be cognizant of the potential economic damages associated with low probability/high impact events such as the Deepwater Horizon spill. Risk assessment needs to be comprehensive in nature, capturing potential impacts to coastal, nearshore, and offshore marine ecosystems from both a market and non-market perspective. This requires quantification of ecosystem service values and potential damages. Presently, the expected value of these natural resource damages is not included in the various economic analyses conducted by public agencies managing offshore oil and gas programs. Until this happens, our society will continue to undervalue ecosystem services and take on an unacceptable level of risk in pursuit of energy resources. Stephen Posner works with the People and Ecosystems Program conducting ecosystem service valuation studies for business. He is currently in a PhD program in engineering and environmental sciences at Dartmouth. John Talberth serves as Senior Economist with the People and Ecosystem Program, providing economic analysis for its Southern Forests for the Future (SFF), Mainstreaming Ecosystem Services (MES), and Chesapeake Bay projects. 1) What are the benefits of Pure-One compared with conventionally derived similar products? As an expert I make recommendations for how to obtain equal or better results compared to fish oil. Pure One™ is made to have a metabolic ratio of DHA and EPA to match brain and organ tissue omega-3 compositions. Our Patent Pending Omega-3 DHA Therapy™ recommends 1200 mg DHA + 40 mg EPA (4 capsules daily) as the Optimized Omega-3™ dosing for gaining a peak omega-3 index in 3 months. The therapy is disclosed to be an accretion therapy for ending omega-3 deficiency, a risk in an estimated 70% of the US population. 2) How does your omega-3 differ from marine sourced material? Marine algaes make long chain omega-3s. Pure One is from a cultured single strain optimized for fatty acid production in a pure form from start to finish. Fish oil requires decontamination for human consumption. Both sources provide high quality omega-3s, but algae oil is more stable, especially when encapsulated in a vegetable based softgel because peroxides found in gelatin can shorten shelf life and cause rancidity over time. Fish oil is also mainly a byproduct of the fish industry first used in cosmetics and now in supplements too. 3) Have you noticed an uptake of interest after BP’s Gulf disaster and if so how much? Yes, of course. First of all companies are getting interested and calling. There is a huge interest suddenly. Second, customers are more willing to discuss the ecological significance of algae oil as a sustainable resource that is scalable and non-depleting of existing food stocks. Purity remains the number one concern in omega-3s and the main reason for conversion to algae oil from fish oil. Taste and reflux issues with fish oil are also eliminated with Pure One algae oil, so customers remain loyal and compliance is rarely an issue. Customer interest has up-ticked, but much less than the corporate interests. 4) What are your customers saying about the Gulf accident relative to omega 3 sources? It seems to be a real eye opener to some people. I believe the label of some fish oil lists the oil sources. For example, I have seen some fish oil labels say from sardines, mackerel, menhaden etc, Many of these fish migrate through the gulf, perhaps some are coming from the USA shores. Also, one customer asked if fish oil used in dietary supplements is made from fish caught just for the oil or if the dietary supplement oil is a by product of the processing plant waste. Higher end fish oils are sourced sustainably. One customer told me though that this just means the size of the holes in the fish nets are a little bigger. Another point is that there are two fish industries "farmed" and "wild". Many do not understand how this works or what are the contaminant levels in farmed fish. High temperatures this summer and the oil spill together are all over the news and concerning people. I report on my blog how 90% of salmon stocks crashed after the Exxon spill in the 80’s. I’m predicting a Gulf ecosystem collapse is imminent and that it will not be ignored as it is right here and not way up in Alaska. This is close to home. Plus the Exxon spill was never fully cleaned up so there is still oil contamination up there more than two decades later. 5) What should people conclude from the Gult accident with regard to omega 3? I think it is too soon to tell. As a scientist I have asked whether there will be an actual replacement need for algae oil now. People are quickly and intuitively connecting the two, the oil spill and the fish industry, which perhaps is linked to fish oil too. I don’t think fish oil can say they are untouched by pollution and the spill likely makes it harder to untangle the fish from that association. 6) What outlets is [are] your product supplied to? We are a manufacturer and seek distributors. Pure One is an international product, available through our websites www.source-omega.com and www.pureone-dha.com. We export to Sweden through www.Veganlife.se. Pure One is also carried by doctors and health professionals. The online Vegan stores in the USA are providing Pure One. VeganEssentials.com is the strongest Vegan products outlet for our product in the USA. We ship to Europe, India and South Asian countries as well. The UK is contacting me quite a bit in the past few weeks. Things are rapidly expanding. 7) What is the size, by volume or quantity, of the market segment at which your product is targeted? This is hard to truly know. It does not concern me as we focus on quality and value, positions of integrity and win, win partnerships. Our business model suggests $15 million to $150 million in profits are likely within the next 5 years depending on the partnerships and joint ventures we form. Source-Omega is able to contract manufacture, private label, and formulate dose and capsule choices. I also consult on omega-3 research, publish academic reviews, and champion putting vegetarian oils in the AL-G™ vegetarian softgel we use. These are topics companies have been contacting me about to assist with, mainly this summer. 8) Any other points to make? Our unique offerings are becoming more exclusive and valuable the longer I hold fast to my original values and positions. I have not changed these since starting. I also am highly selective. I turn away far more companies than I accept. The profit motive was not the first nor the only reason I founded the company and that means something very special. The information transmitted is intended only for the person or entity to which it is addressed and may contain confidential and/or proprietary, or trade secret, or privileged material. Any review, retransmission, dissemination or other use of, or taking of any action in reliance upon, this information by persons or entities other than the intended recipient is strictly prohibited. If you received this in error, please contact the sender and delete the material from any computer. *Information and statements regarding this supplement have not been evaluated by the Food and Drug Administration and are not intended to diagnose, treat, cure, or prevent any disease. I’m a journalist with NutraIngredientsUSA.com. I’d like to write an article about Pure-One. 9) What are the benefits of Pure-One compared with conventionally derived similar products? 10) How does your omega-3 differ from marine sourced material? 11) Have you noticed an uptake of interest after BP’s Gulf disaster and if so how much? 12) What are your customers saying about the Gulf accident relative to omega 3 sources? 13) What should people conclude from the Gult accident with regard to omega 3? 14) What outlets is your product supplied to? 15) What is the size, by volume or quantity, of the market segment at which your product is targeted? 16) Any other points to make? Thanks for your help at short notice. Before printing this e-mail please consider your env ironmental responsibility. The flood of scientific evidence on omega-3 eicosapentaenoic acid/docosahexaenoic acid (EPA/DHA) has significantly buoyed the credibility of polyunsaturated fatty acids (PUFAs) as vital functional ingredients. Heightened consumer awareness has had a telling effect on the healthy growth charts of the marine and algae oil omega-3 ingredients market. New analysis from Frost & Sullivan (http://www.food.frost.com),Strategic Analysis of the European Marine and Algae Oil Omega-3 Ingredients Market, finds that the market earned revenues of $323.0 million in 2008 and estimates this to reach $ 525.6 million in 2013. Manufacturers who recognize the link between consumer awareness and product marketability are branding their ingredients on consumer food and beverage products. Meanwhile, the Global Organization of EPA & DHA Omega-3, an industry organization, has funded Purdue University in the U.S. to establish the Omega-3 Learning Consortium for Health and Medicine to provide credible information about omega-3 fatty acids to consumers, health professionals and the media. "Industry associations have been successfully formed to protect their interests and voice their opinions to government agencies charged with regulating food ingredients," says Frost & Sullivan Research Consultant Christopher Shanahan. "These associations play a critical role in addressing crucial legislative challenges facing the industry and in providing opportunities that benefit the overall growth of the market." The projected 10 percent compound annual growth rate (CAGR) from 2008 to 2013 in the marine and algae oil omega-3 ingredient market is likely to jumpstart key condition-specific health markets such as cognitive health, joint health and immune health. However, the omega-3 industry is facing an increasingly complex set of technological, environmental and regulatory changes. "On February 12, 2010, the European Parliament approved nutrition claims for omega-3s allowing food products to claim they are either a 'source of omega-3 fatty acids' or that they contain 'high omega-3 fatty acids'," notes Shanahan. "This is a positive development because it will enhance both consumer awareness and usage across Europe, in countries where consumers already understand the value of omega-3s." Despite these favourable conditions, participants have a lot of ground to cover with regard to awareness and acceptance. They have been greatly assisted in their endeavours by positive media coverage. They have also benefited from an ageing population that is more predisposed to chronic illness such as cardiac disorders,strokes, osteoporosis and cancers. "A larger number of consumers consider food products an alternative means to prevent many diseases and adverse health conditions such as cardiovascular disease (CVD)," observes Shanahan. "The demand for omega-3 ingredients is directly related to the escalating incidence of CVD in developed countries and it significantly hikes the unit consumption." If you are interested in more information on this study, please e-mail Monika Kwiecinska, Corporate Communications, at monika.kwiecinska@frost.com, with your full name, company name, title, telephone number, company e-mail address, company website, city, state and country. Strategic Analysis of the European Marine and Algae Oil Omega-3 Ingredients Market is part of the Food & Beverage Ingredients Growth Partnership Services program, which also includes research in the following markets: Strategic Analysis of the North American Marine and Algae Oil Omega-3 Ingredients Market, Strategic Analysis of the Asia Pacific Marine and Algae Oil Omega-3 Ingredients Market, U.S. and Europe Nutricosmetics Ingredients Markets, Global Probiotic Markets, Global Stevia Markets and Global Bone & Joint Health Ingredients, among others. All research services included in subscriptions provide detailed market opportunities and industry trends that have been evaluated following extensive interviews with market participants. Contact Us: Source-Omega offers "Wise Label" for algae oil distribution. About two years ago Dr. Scott Doughman came into our store and introduced himself, his company Source-Omega (www.Source-Omega.com), and his product Pure One. Pure One oil is an Omega 3 product high in DHA derived from algae, even the gel cap is from algae, making this product 100% vegetarian / vegan. Dr. Doughman lives in Chapel Hill and we have always tried to support local products, something that’s sort of hard to do in our industry which is capital equipment intensive. Dr. Doughman did his post doctoral work at UNC at Chapel Hill working on algae based omega 3’s in cancer biology. Like many proven company start-up’s, he’s worked on his brand starting about 3 years ago. He spent considerable time educating Rose and I on the benefits on DHA. Within our little store Pure One has become one of our best sellers; in 2009 we average just over 40 bottles a month! We personally take Pure One; give it to Rose’s parents who live with us, and to our sons. As you know, omega 3 benefits are countless, required for: brain health, heart health, joint health, eye health, colon health, skin health, and vital for pregnancy and nursing mothers. Populations who have diets rich in wild fish / omega 3 have much lower incidences of heart disease, Alzheimer's and autism. Omega 3 deficiency is a factor in diabetes, arthritis, and has been linked to some cancers. Research on DHA is still in its infancy, it could be when the final omega 3 / DHA chapter is written we’ll discover Omega 3 plays a direct or indirect role in virtually every cell function. Dr. Doughman taught us that DHA is the only omega 3 our bodies need, because our bodies can easily take DHA, the longest – most complex form of omega 3, and through a simple enzymatic process readily convert DHA to all other forms of omega 3. It’s a laborious, inefficient process for our bodies to take ALA, the shortest form of omega 3, and create higher forms of omega 3’s. The recent Gulf oil spill heightens the concern around our polluted environment. Because of the trash mankind has dumped into our oceans all the fish oils we take or sell are molecularly distilled, as is all fish based Omega 3’s. Our exploding world population places more demand on wild fish stocks than they are able to naturally sustain. Harvesting fish for oil production adds to this demand. The algae for Pure One is grown in tanks in Kentucky/South Carolina; it was never exposed to manmade pollution, no molecular distillation is required, and Pure One Oil has no impact on wild fish stocks. Pure One is green and sustainable. Most omega 3 fish oils are foreign made, where as Pure One is 100% a US product. Fish don’t create omega 3, like us they need to get it in their diet; that’s why farm raised fish lack omega 3. In the oceans of the world algae capture sunlight and create carbohydrates and long chain fatty acids, aka as omega 3. Krill and shrimp consume the algae; larger and larger fish eat the krill and shrimp; that is how omega 3 gets into the wild fish food chain. Farm raised fish are still a great tasty source of protein; they just lack the essential fatty acids (EFA) / omega 3 that their wild cousins contain. Scott and I have been working together for almost two years. He’s our omega 3 professor and he’s hosted many omega 3 / DHA seminars at our store. Of course influence is a two way street and he’s now a CSP consumer. We’ve put together a ‘package of Pure One & CSP’. In promotion of both products, he takes this package to area nutritionists and fitness directors. He currently exports Pure One to the UK, Australia, India, every continent in the world, with also regular shipments to Sweden. Dr. Doughman has a patent pending omega 3 / DHA therapy: take 4 gel caps a day for three months which will slowly raise your omega 3 serum levels to somewhere between 6 – 8%. Thereafter two gel caps a day is sufficient dosage to maintain this ideal omega 3 level. He guarantees this therapy will reduce your triglycerides; elevated triglycerides are probably more of a factor in heart health than all the ongoing flak made about lowering cholesterol. Consuming 4 gel caps a day across 3 months requires 6 bottles of Pure One. To help people commit to the three month program Dr. Doughman developed a buy 5 get 1 free program. As a store owner it’s a wonderful thing to turn a single bottle sale into a five / six bottle receipt. We’ve found the Pure One consumers have become some of our best loyal customers. Scott is impressed with your work as expressed through the product lines you’ve developed, so much so he would consider private labeling Pure One with the wise label. Pure One: the most complete / perfect omega 3 for the vegetarian / vegan or for anyone looking to achieve the most results from omega 3 / DHA supplementation. Like our own expert, Dr. Scott Doughman (aka Dr. DHA) could be an educational resource for our family of stores. He has a well developed website, an omega 3 education in itself. I look at my job as helping people find natural solutions for life’s problems; and Pure One is now our essential element in that toolbox. I envision with all the product research Scott has already accomplished, this could be a quick new product introduction cycle into the Wise portfolio. This would be a new product for the stores, another revenue stream, and a perfect niche product for the vegetarian / vegan population. Like I said before Pure One has become one of our best sellers. Algae oil omega 3 / DHA under the wise label seems like a great fit to me. The purpose of this letter is to make introductions and open the private label invitation for with Pure One’s oil. An arranged discussion between you and Dr. Doughman will be fruitful, he’s the real deal. A “flood of scientific evidence” for omega-3 forms DHA and EPA, positive press, elevated consumer awareness and proactive industry representation will drive 60%+ omega-3 growth in coming years, according to a new report. Frost & Sullivan said global sales of marine and algae sourced omega-3ingredients that had a value of €250m ($323m) in 2008, would be worth €406m ($525.6m) in 2013, as the industry capitalises on market and regulatory changes. While omega-3 forms eicosapentaenoic acid (EPA) and docosahexaenoic acid (DHA) are best known for their ability to benefit heart and brain health, market growth is likely to, “jumpstart key condition-specific health markets such as … joint health and immune health”. Frost analyst Dr Kaushik Ramakrishnan Shankar said fish oil had made technological advances in taste, texture and shelf life that had opened food matrix potential. But further development was required if it was to achieve the formulation neutrality enjoyed by algae sourced omega-3s. Frost singles out the Global Organization of EPA & DHA Omega-3 (GOED) and broader trade groups as being a key driver in the segment’s growth. "Industry associations have been successfully formed to protect their interests and voice their opinions to government agencies charged with regulating food ingredients," said Frost research consultant Christopher Shanahan. "These associations play a critical role in addressing crucial legislative challenges facing the industry and in providing opportunities that benefit the overall growth of the market." An initiative like the GOED-funded Omega-3 Learning Consortium for Health and Medicine at Purdue University in the US was cited as an example of an industry-led initiative to collect and disseminate omega-3 information to consumers, the health sector and the media. The regulatory picture is mixed with the US Food and Drug Administration reconsidering approved omega-3 content claims but a similar claim recently approved in the European Union is assisting the industry. "On February 12, 2010, the European Parliament approved nutrition claims for omega-3s allowing food products to claim they are either a 'source of omega-3 fatty acids' or that they contain 'high omega-3 fatty acids'," said Shanahan. "This is a positive development because it will enhance both consumer awareness and usage across Europe, in countries where consumers already understand the value of omega-3s." But the European Union is yet to finalise a Dietary Reference Value for omega-3s. Frost said consumers were increasingly interested in getting their omega-3s in the from of foods, although omega-3 food sales are currently dwarfed by supplement sales globally. Although the use of nutraceuticals and nonprescription over-the-counter (OTC) drugs may be high among patients, cardiologists and cardiologists-in-training may largely ignore the use of these agents among their patients, according to researchers from the University of Maryland School of Medicine in Baltimore. A clinical pharmacist observed cardiologists and cardiologists-in-training and patient interactions and then questioned patients after clinicians left the room. The pharmacist identified 54 patients who were using 86 nutraceuticals and 45 OTC drugs. However, cardiovascular clinicians identified use of nutraceuticals and OTC drugs during only seven patient encounters. In addition, cardiology specialists queried patients about nutraceutical and nonprescription OTC drug use during 2 percent of patient encounters, and cardiologists-in-training queried patients about the use of these agents during 16.3 percent of patient encounters. Yet, clinicians estimated they questioned patients about nutraceutical and nonprescription OTC drug use during 47.1 percent of patient encounters. NEW YORK, July 26, 2010 /PRNewswire via COMTEX/ -- Reportlinker.com announces that a new market research report is available in its catalogue: Strategic Analysis of the Asia Pacific Marine and Algae Oil Omega-3 Ingredients Market http://www.reportlinker.com/p0234574/Strategic-Analysis-of-the-Asia-Pacific-Marine-and-Algae-Oil-Omega-3-Ingredients-Market.html This study covers the state of the Asia Pacific marine and algae oil Omega-3 ingredient Market, examining drivers and restraints for growth, pricing, distribution, legislation, demand and geographical trends. Following from these, market growth for regional and market segments are forecasted. In addition, an in-depth analysis of the competitive situation including vendors' market shares is performed, along with detailed profiles of the key vendors in the industry. The base year is 2008 with forecasts running through 2013. The market is further divided into two subsegments including marine oil omega-3 ingredients and algae oil omega-3 ingredients. This study covers the state of the European marine and algae oil Omega-3 ingredient Market, examining drivers and restraints for growth, pricing, distribution, legislation, demand and geographical trends. Following from these, market growth for regional and market segments are forecasted. In addition, an in-depth analysis of the competitive situation including vendors' market shares is performed, along with detailed profiles of the key vendors in the industry. The base year is 2008 with forecasts running through 2013. The market is further divided into two subsegments including marine oil omega-3 ingredients and algae oil omega-3 ingredients. Check our Company Profile, SWOT and Revenue Analysis! Ever since Julius Fast wrote The Omega-3 Breakthrough in the late 1980s, essential fatty acids (EFAs) have seen a steady gain in popularity. EFAs are needed by the human body, but the body can’t make them on its own. Therefore, they have to be consumed through food. These wonder-fats come with many astounding benefits, nourishing the skin, hair, heart and brain. They help reduce the incidence of heart disease, help prevent cancers, skin disorders, diabetes and even (according to some studies) depression. Celebrity dermatologist Nicholas Perricone, who treats everyone from Bruce Willis to Jennifer Lopez and Heidi Klum, has made EFAs star players in all his books. The Perricone Prescription is a 28-day programme which combines his patented skincare products and supplements with an Omega-3-rich diet that helps reduce inflammation, which he considers the base of all health problems. A study conducted by the University of Illinois, Urbana–Champaign, US, in April found that a diet rich in Omega-6 could cure skin problems such as dermatitis. The Omega fats break up Omega fatty acids. There are many types of EFAs, the most important being Omega-3 and, to some degree, Omega-6. Omega-9 is necessary, but the body can generate a modest amount on its own provided other EFAs are present. Omega-3 fatty acids are derived from linolenic acid, Omega-6 from linoleic acid and Omega-9 from oleic acid. Omega-3 fatty acids are used in the formation of cell walls, making them supple and flexible by improving circulation and oxygen uptake. They are also known to reduce inflammation through the body—in the blood vessels, joints and elsewhere. Omega-3 deficiencies are linked to decreased memory and mental abilities, tingling sensation in the nerves, poor vision, increased tendency to form blood clots, diminished immune function, increase in triglycerides and bad cholesterol (LDL) levels, etc. Vegetarian sources of Omega-3 include wheat, pearl millet, pulses, green leafy vegetables, fenugreek, flax seed, mustard seeds, nuts, canola oil, soybean oil, mustard oil, etc. Meat eaters can get their dosage from cold-water fishes such as salmon, tuna, sardines or Indian fishes such as Gangetic blow fish and puffer fish. Omega-6 fatty acids play a crucial role in brain function as well as normal growth and development. They help stimulate skin and hair growth, maintain bone health, regulate metabolism and maintain the reproductive system. Omega-6 fatty acids are present in wholegrains and in most cooking oils. Using soybean, canola, olive, mustard and flax seed oil in combination and rotation along with certain food items such as kidney beans and fenugreek, combined with the Omega-3 sources mentioned earlier, should take care of the overall EFA requirement. Omega-9 fatty acids lower cholesterol levels, reduce atherosclerosis (hardening of the arteries), reduce insulin resistance, improve immune function and provide protection against certain types of cancers. 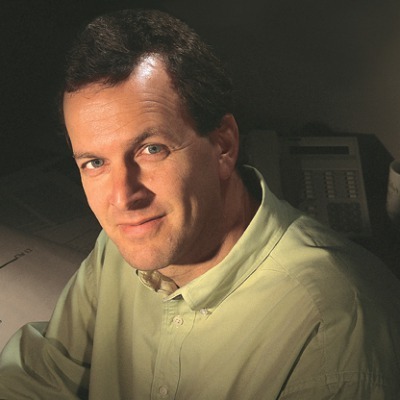 Dr. Steven Salzberg is the Director of the Center for Bioinformatics and Computational Biology and the Horvitz Professor of Computer Science at the University of Maryland, College Park. Today we have a new figure: the fish oil salesman. This modern figure, though, is no joke: he is a polished, sophisticated figure with the full weight of the FDA behind him. Should we buy his product? Last week, while watching a major sports event, I was treated to a new commercial for a product called Lovaza, which I learned “helps to lower very high triglycerides in adult patients.” It’s a beautiful commercial, with an actor in a lab coat (am I supposed to think he’s a scientist? ), carrying a clipboard and walking through a lab surrounded by blue aquariums. (Apparently the lab is under water.) You can see the ad here. Not surprisingly, this announcement gave a big boost to dietary supplements made from fish oil. Omega-3's are the fifth best-selling supplement in the U.S., with sales of $600 million per year, according toa 2008 Wall St. Journal article. What’s new about Lovaza? Mainly this: no other fish oil supplement (and there are many) has FDA approval, as the TV ad made clear. What FDA approval means is that the manufacturing process for Lovaza has been rigorously evaluated and the product is guaranteed (well, almost) to contain what it is supposed to contain, without contaminants. (As I wrote just last week, many supplements contain harmful contaminants.) This approval transforms Lovaza (like magic!) from a supplement into a pharmaceutical, and you can only get it (in the U.S.) with a prescription. Why bother to go through the FDA process when you can sell the same supplement over the counter? Here’s the clever part: as an FDA-approved treatment, Lovaza is eligible for insurance coverage, which also means that GSK can charge an exorbitant amount of money for it. As cardiologist and blogger Dr. William Davis explained on his blog, this means that people in his area are paying $3360 per year to take fish oil pills, which they could buy at the local Costco for $150/year. It looks like getting FDA approval was a great deal for GSK, although not such a great deal for the consumer. Of course, the makers of fish oil supplements have responded with countless articles claiming that their products are just as pure as Lovaza, and they very well might be. I’m not going to examine that question here. But all of this kerfluffle about FDA approval ignores the most basic question: does it improve your health to take high doses of omega-3 fatty acids? (Restenosis is narrowing of the arteries). They did find a small reduction in both conditions, but it was not significant. It appears that the FDA’s 2004 conclusion may be overly optimistic. So: either no benefit or a small benefit, but in any case fish oil doesn’t cause harm. Remember, the Lovaza fish oil salesman only claims that it helps to treat people with extremely high triglyceride levels (over 500, where normal is less than 150). He never said it would reduce your risk of heart disease – in fact, he says in the ad that Lovaza has not been shown to prevent heart attacks or strokes. What this all means to me is that, if you have really high triglycerides, then it won’t hurt to take a fish oil supplement, but I can’t see any reason to spend 20 times as much for Lovaza. Or you could make sure to eat plenty of oily fish like salmon. Sushi, anyone? This study covers the state of the North American marine and algae oil Omega-3 ingredient market, examining drivers and restraints for growth, pricing, distribution, technology, legislation, demand and geographical trends. Following from these, market growth for market segments are forecasted. In addition, an in-depth analysis of the competitive situation including omega-3 ingredient manufacturer market shares is performed. The base year is 2008 with forecasts running through 2013. The market is further divided into two subsegments including marine oil and algae oil omega-3 ingredients. What Causes Type 2 Diabetes, and How Can it be Prevented? Does Chromista Oil DHA Protect Against Fatal Heart Disease? Is Algae Oil a Sustainable Food or Fuel? There are separate bodies of literature for fish oil and algae oil.